Just like that headline says: SnowEx has announced its first winner of the Plow on Your Terms Giveaway. Salvatore Nazzaro of Barto, Pa. was selected on Friday, Sept.28 and chose a heavy-duty plow ($6,700 value). There are two more plows to give away — one on Friday, Oct. 5 and the next Friday, Oct.12. Winners can select any plow from the full line, including plows for trucks, skid-steers and UTVs. Go to snowexplowgiveaway.com to sign up for your chance. 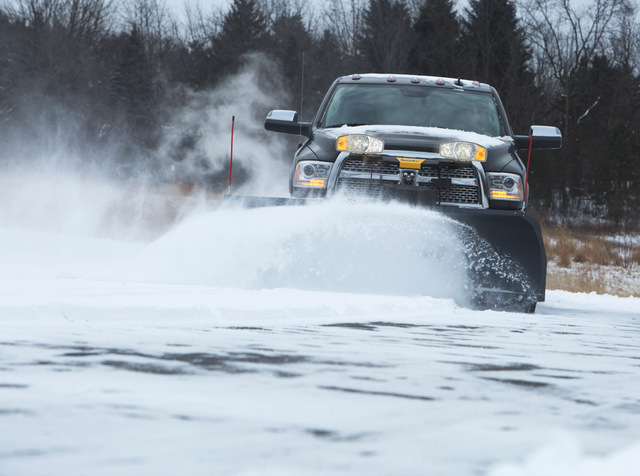 Overall, three randomly selected entrants will win a SnowEx snow plow of their choice. 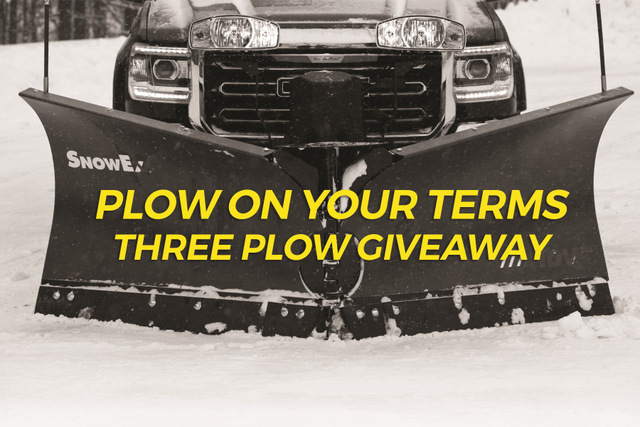 Winners will get to select from the full line of SnowEx plows, including straight blade, hinged blade, V-plows and snow pushers for their light, regular-duty or heavy-duty trucks, utility vehicles, or skid steers. As an added bonus, SnowEx is offering four additional entries to anyone who signs up to become a SnoHub contractor, for a maximum of five giveaway entries per person. SnoHub is the leading free mobile application designed to connect homeowners with snow plowing services through a seamless, simple booking process and secure mobile payment gateway. The services allow snow plow drivers the opportunity to earn extra cash by taking on residential jobs along their plowing routes. The Plow On Your Terms Giveaway sign-up is located at SnowExPlowGiveaway.com. The page also offers entrants details on how to earn extra entries by becoming a SnoHub contractor. For more info on SnowEx, click this link. No plowing required.